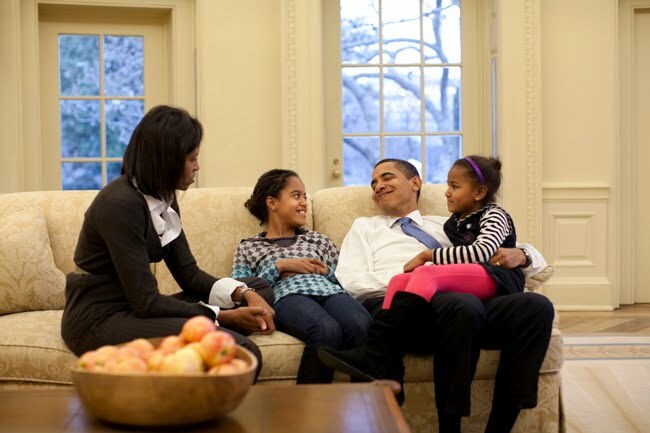 Parenthood has been an important part of Obama's presidency. Photograph courtesy of Creative Commons. We have become so used to this way of talking about politics that we rarely consider the larger significance of thinking about citizenship through the perspective of parenthood. This way of thinking has deep roots, and understanding these roots can shed new light on the most persistent problems in our politics. As I explore in The Parent as Citizen, modern ideas about democratic citizenship and parenthood have developed hand in hand. In the book I uncover the origins of our habit of making ideas about parenthood central to democratic politics. I show both why this way of thinking has been so tempting, and why it so often goes wrong. Ever since modern political thinkers began worrying about how ordinary people can take on the responsibilities of democratic citizenship, they have looked to parenthood as an experience that can instill the qualities most useful for politics: Parenting can summon our sense of responsibility and authority amid the confusion of modern social forces. It can offer an impetus to pause and reorganize our lives around what is most important to us. It can deepen our sense of connection to both past and future as we reconsider our cultural inheritance in thinking about what we would like to pass on to the next generation. In all these ways parenthood has come to be imagined as an experience that generates many of the capacities and responsibilities we hope citizens will bring to politics. But my book offers explorations of modern politics and political theory that suggest it is counterproductive to stake so much of our capacity for democratic citizenship on the sentiments and capacities that result from a parent’s relationship with a child – a relationship in which responsibility is felt so intimately and profoundly that conflict and failure can be devastating. Despite the allure of parenthood, it can be a problematic basis for citizenship. When parenthood is imagined to summon a confidence in our political virtues, it often reveals profound insecurities. When parenthood is thought to instill the openness to change appropriate to democratic political contest, it often produces unexpected fundamentalisms and stagnation. When parenthood becomes central to our conceptions of citizenship, our notions of political virtue struggle to live up to these standards. Read more in The Parent as Citizen: A Democratic Dilemma, by Brian Duff. "Superb ... Brian Duff shows that parenthood is as much a symptom of as it is the solution to the ills of society. To pose it as some kind of perfect remedy is in fact to preserve the problems of society in the guise of curing them."